Trains running along the south west coast on Isambard Kingdom Brunel’s Great Western Railway have long suffered from sea spray and salt water corroding and damaging vital equipment. But a deceptively simple design change is set to ensure the trains can handle the worst of the weather. 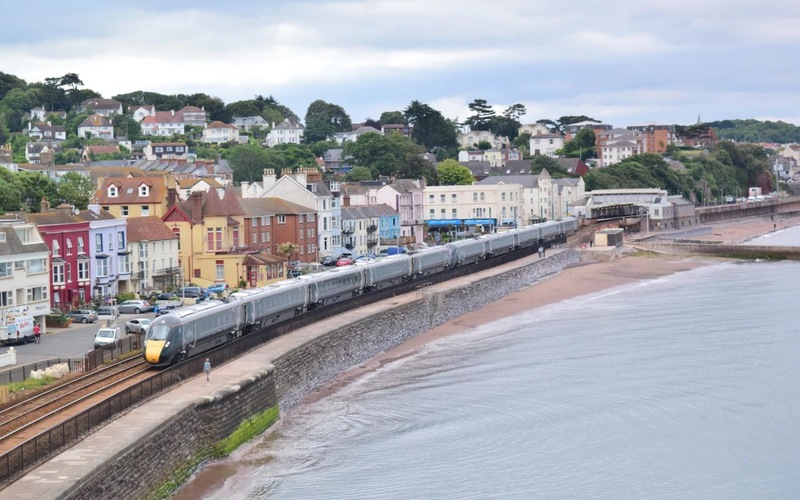 The problem is particularly acute along stretches such as Dawlish, in Devon, where the track famously runs alongside the coast on its way to Exeter. A new generation of ‘Dawlish proof’ trains is set to be rolled out along the route with the promise they will be able to withstand the worst the south west can throw at them. Several of the trains which currently run on the line suffer from a crucial design fault in which their brake resistors, which dissipate energy during braking and turn it back into electricity, sit in a sunken well on the roof where rain and sea water collects during storms, damaging their working parts. While the existing 40-year-old High Speed Trains have not been affected, the Voyager fleet operated by Cross Country, which operates between Penzance and Scotland via Dawlish and Bristol, have repeatedly suffered from the problem since they were introduced in 2001. But the new Class 802 Intercity Express Trains, which will run from London Paddington to Exeter, Plymouth and Penzance from next year, have been designed with a raised platform on which the resistors sit, allowing water to run off the roof and away from the equipment. Engineers are conducting a series of exhaustive tests to ensure that the sleek, bullet-shaped trains can handle the ferocious Atlantic storms that lash the rugged West Country coast, where huge waves can swamp the rail line. As part of the tests the high speed trains have been subjected to extreme weather conditions - with gallons of salt water dumped on them - and are now undergoing live test runs along routes in the region, between Bruton and Cogload, in Somerset. Three of the new trains, built by Hitachi Rail, were put through a giant train washing system, allowing gallons of saltwater to be poured on them to test not only the effectiveness of the brake resistor platforms, but also the waterproof seals of the carriage doors and windows. A Hitachi Rail spokesperson said: “The new Intercity Express Trains are designed to cope with the South West’s sometimes stormy weather conditions and have already been rigorously tested including weather simulation tests at our Japanese factory.